Black Friday 2018 – Kérastase Gift Box Offer! Back by popular demand for Black Friday week! 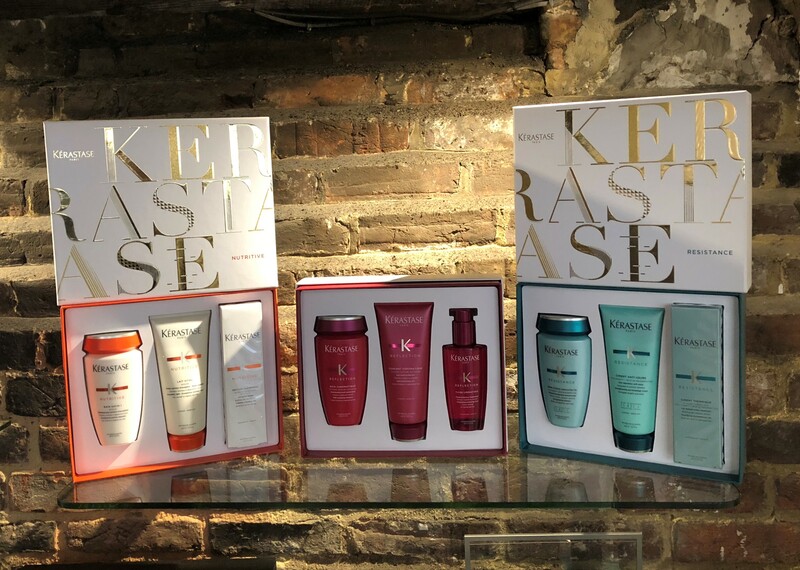 Our fantastic Kérastase Gift Box offer saving you over £19.50! Whether you are searching for a Christmas gift, or adding to your own Christmas list, this will be the perfect treat! You can buy in person or order over the phone but must do so on either Friday 23rd, or Saturday 24th November. We have a selection of seven beautiful presentation gift boxes available to suit all different hair types to choose from. Each includes shampoo, conditioner and a styling product, all for just £45.80, normally £65.30. Nutritive provides a nutritious solution for dry and sensitive hair, Reflection helps to protect and nurture colour treated hair, whilst Resistance is designed to fight the effects of heat damaged hair, from generally weak hair to split ends. Densifique is specially formulated for fine or thinning hair, giving your hair extra body without weighing it down, whilst Discipline is the ultimate treat for frizzy or unruly hair, smoothing your locks with a frizz-free finish. With Limited Stock and only available on the 23rd and 24th of November, don’t miss out on this amazing deal! Buy in store on Friday and Saturday while stocks last, or if you are unable to make it, order over the phone and collect when it’s convenient. Call 01227 455545. This year we are also offering 10% off gift vouchers (see our blog post or offer page for full details).